People told him it would never work. They were wrong. We’re across the Hudson River from New York City in a subterranean cocktail bar called the Winston, where bar manager Hector Noel could talk for hours about hospitality. He really, truly cares about it. 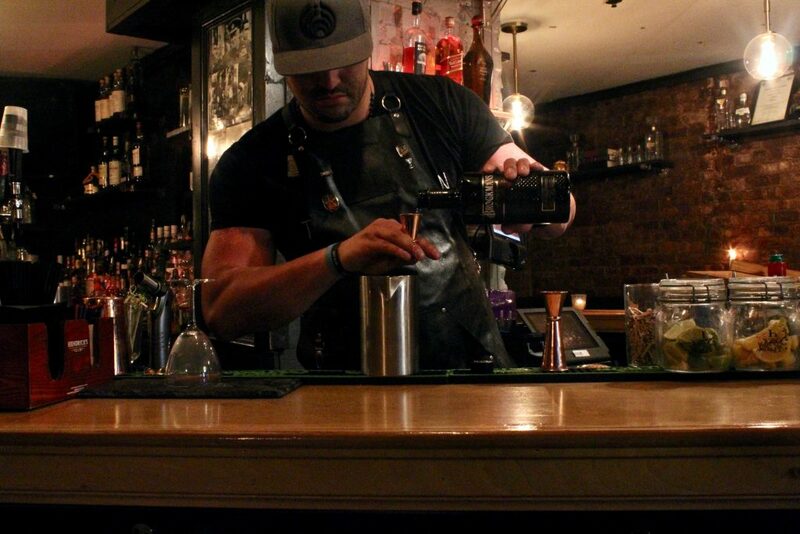 Hector’s journey to this moment took him from seeking a job to make ends meet through college, to slinging vodka sodas at dive bars in New York City and New Jersey, to almost quitting the industry entirely. 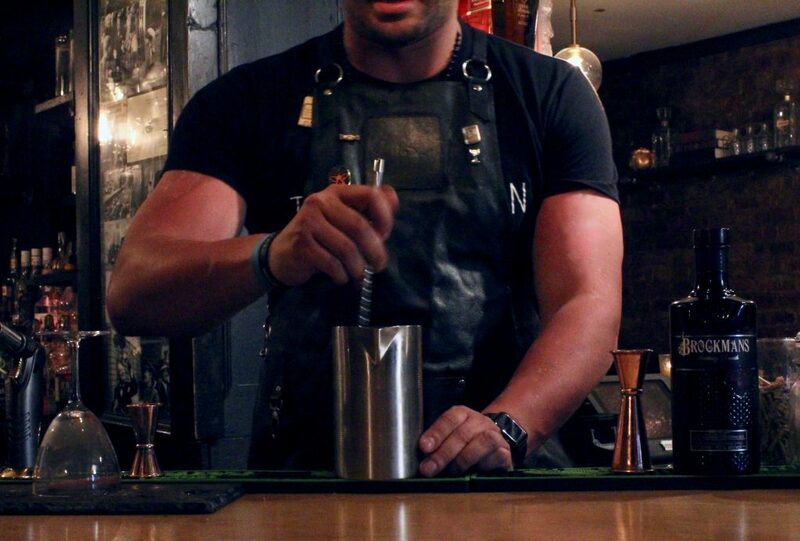 The “underground,” of course, is craft cocktail bartending, and Hector can never look back. 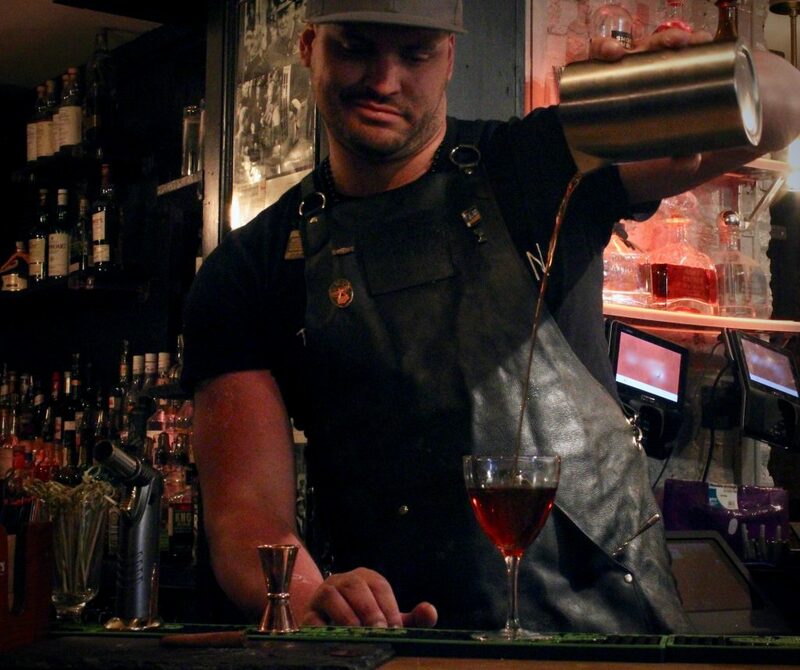 It is so obvious in the way he talks about this industry and the craft of bartending, that this is his career, his life. 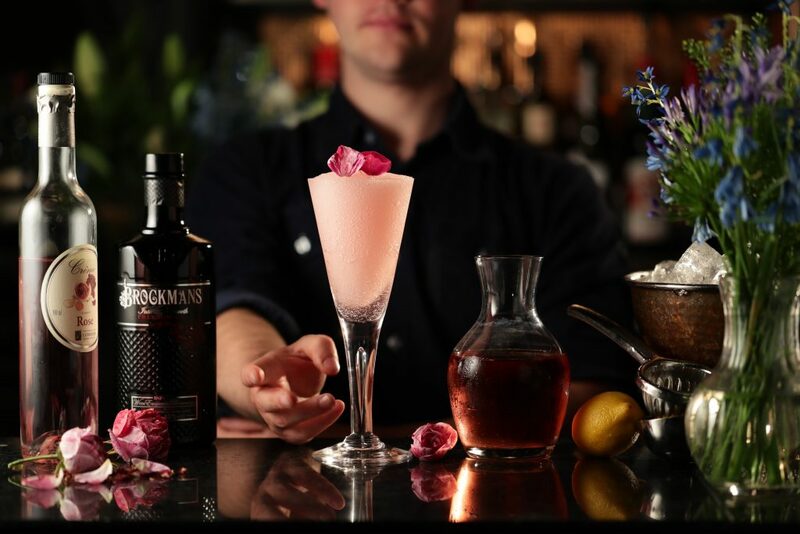 Being a great bartender, he explains, is not just about making an intricate craft cocktail. It’s about making people feel comfortable. His enthusiasm is infectious. It is no wonder that The Winston, a concept people told him would never work in a small town like Hoboken, is thriving. Now ready to make us a drink, Hector turns up the music and “gets into the zone.” He makes us a stirred Brockmans cocktail with Amaro di Angostura, Aperol, Amaro Meletti, and grapefruit bitters. He bobs his head to the music as he works. It is spectacular to watch. We completely understand. He is a gunslinger. Stir until the mixing glass is very cold. 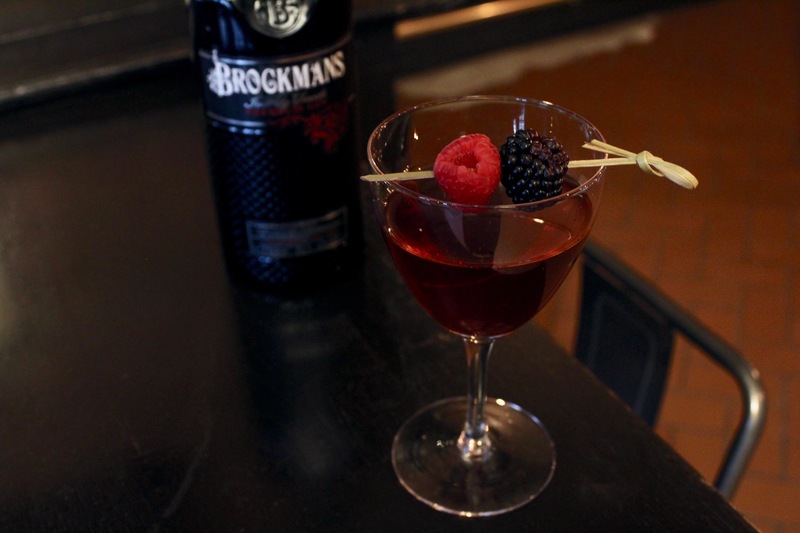 Strain into a chilled coupe, and garnish with a few berries on a skewer.